If you’re handy with your hands and you like helping people, then you might be successful in Massachusetts as a home improvement contractor. However, you can’t just start marketing your services and bidding on contracts. Before you begin, you must register as a home improvement contractor with the state. Some of the rules and exemptions pertaining to this designation can be confusing. So here are some answers to frequently-asked questions about being a home improvement contractor. 1. Why do I have to register as a Massachusetts home improvement contractor? You have to register as a home improvement contractor to assure customers that you are following certain laws and regulations, adhering to industry standards, and providing safeguards against homeowners being scammed by unscrupulous contractors. 2. Under what circumstances must I register as a home improvement contractor? If you are an individual or company that performs (or solicits or bids on) residential contracting either as a contractor or subcontractor, you must register as a home improvement contractor. 3. How is “residential contracting” defined? 4. 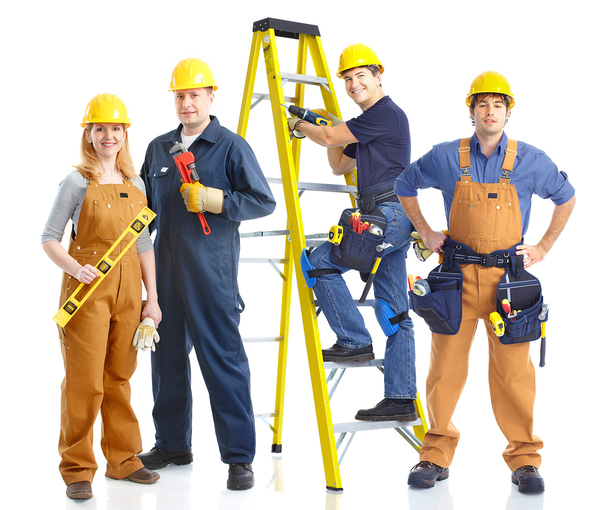 Is there a difference between a home improvement contractor and a construction supervisor? Yes. A construction supervisor must be licensed by Massachusetts, and this license cannot be obtained without passing a state-mandated exam. Once licensed, a construction supervisor can actually build new homes (that are smaller than 35,000 cubic feet) or new additions on existing homes, whereas home improvement contractors can only perform certain renovations on existing homes. 5. What types of home improvement projects can be performed without having to register as a home improvement contractor? 6. Do all employees of my company have to register as well? Employees need to register only if they do actual work as a home improvement contractor or subcontractor. If they only perform labor or services in exchange for wages or salary, then they are exempt from registering. 7. If I am doing any work on my own home, do I have to register as a home improvement contractor? 8. Do builders of new homes have to register as home improvement contractors? 9. If my company only does work on commercial structures, is registration required? 10. Is there a minimum threshold of work that must be met in order to register as a home improvement contractor? Yes. If you work on any single project for which you earn at least $500 in revenue, or if your gross revenues as a contractor or subcontractor exceeded $5,000 in the previous 12 months, you need to register. 11. How much does it cost to register? The initial registration fee is $150 plus a Guaranty Fund Fee. 12. How much is the Guaranty Fund Fee? For individuals and companies with three or fewer employees, it is $100. The fee rises to $200 for companies with between four and ten employees, $300 for companies with between 11 and 30 employees, and $500 for companies with more than 30 employees. 13. Does my home improvement contractor registration need to be renewed? Yes, your home improvement contractor registration needs to be renewed every two years. The renewal fee is $100, and no Guaranty Fund Fee payment is required. For additional information, you can check out the state of Massachusetts’ website. You can even register online. Once you are registered, you can launch your career as a home improvement contractor. Good luck! What happens if you want to do more than just home improvements? If you are thinking about becoming a construction supervisor, you can take our Construction Supervisor License classes for free.